That corresponds well with my impressions. I usually go to China every 2 years. Better ordering, mailing, delivery, transportation, payments than Canada or USA. You can truly get whatever you want online and have it brought to your door for a very low price. And on the con side . . worse pollution, worse traffic and most importantly for foreigners. . worse internet access. I always think to myself. 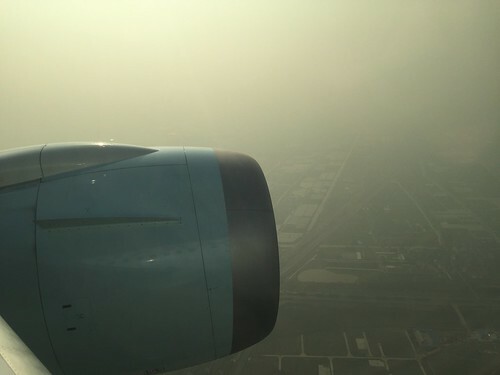 .even the richest man in Beijing can’t buy himself clean air, nice views and uncrowded cities. (As long as he or she resides in China). That said.. Shenzhen and Hong Kong. . are much better for climate and pollution. I was there for a month in January, and had a cough the whole time. Cleared up when I got back to Edmonton, Canada. Anyways, I still ‘work in China’ even though I’m physically not there 3/4 of the time. It’s possible to do, but requires some skill in navigating jetlag. We expect the VPN problems to get a bit better in the short-run, but who knows what will happen after that. Can’t say I agree Vancouver properties are priced reasonably… For me, “reasonable” is an income property, with rental income matching or exceeding income statements. Thanks a lot for this trip review. It gives a very good view of how (tech) business is done and what personal life is about. This inspires me to visit Shanghai. Is there any interesting – tech – events, startup places to get into contact with? Thanks! Thanks for sharing your insights about China. I live in Shanghai where I can survive without credit cards or cash. The only thing I need is a smartphone. I can pay through my iPhone for pretty much everything such as meals, coffees, train tickets, airline tickets, accommodations, taxis, online shopping, medical bills, massages. Most convenient stores and shui guo stores are also accept alipay or wechat pay. In terms of VPN, thanks to Bandwagon, I have my own VPN now. I had no problems for the past 2 years to visit Facebook, youtube, gmail etc through my own VPN. You may try it out and set up your own VPN while visiting China next time. I also use iPhone to access my Facebook, gmail accounts, VyprVPN and Tianxing VPN are proved to be very reliable for the past 2 years.